I love Saturday morning breakfast! 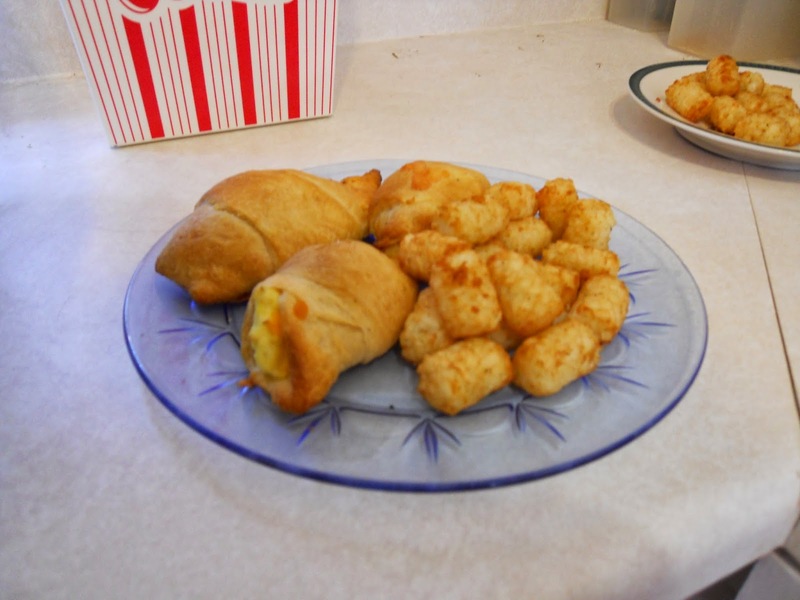 During the week both my husband and I are too busy for a sit down big breakfast. 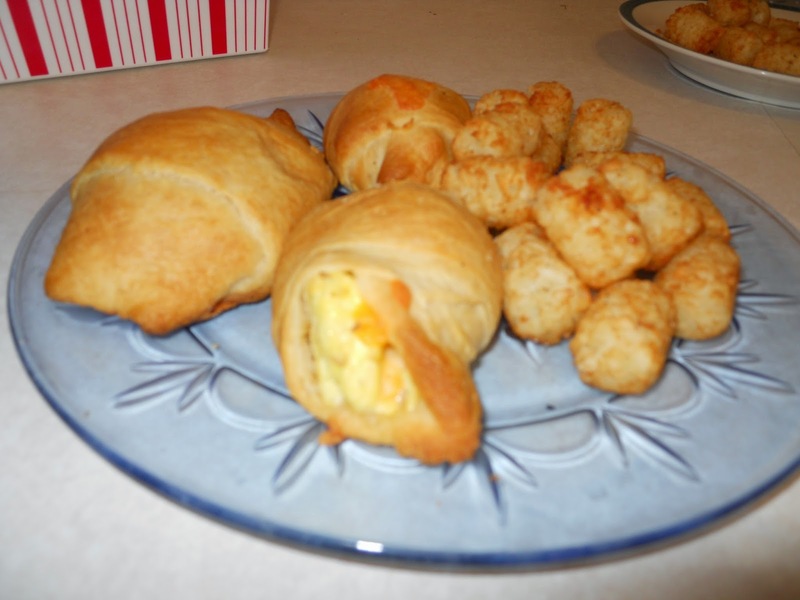 Saturday mornings are big breakfast mornings in our house. 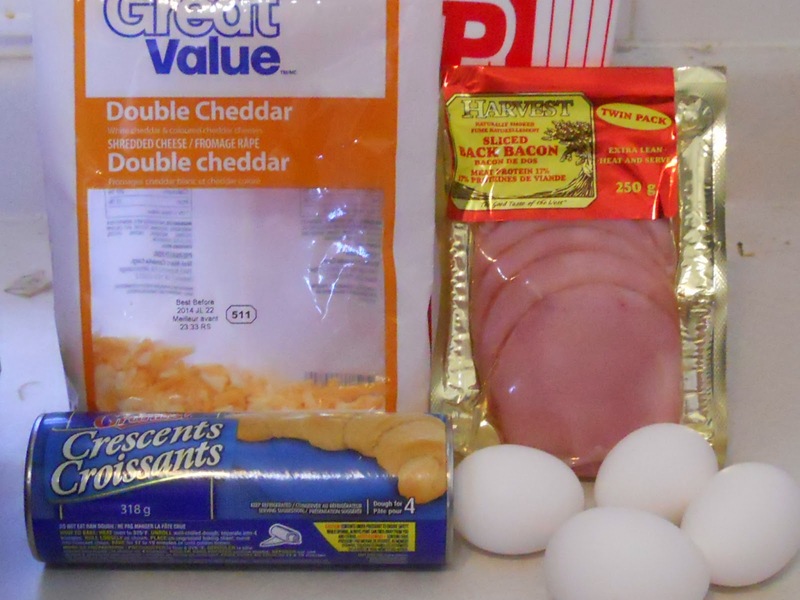 It usually consist of the same items - eggs, ham or bacon, cheese and some type of hash brown. These are the items we both like but I like to change it up occasionally. Heat oven to 350°F. In small bowl, beat eggs. Reserve 2 tablespoons beaten egg for brushing on tops of crescent rolls. 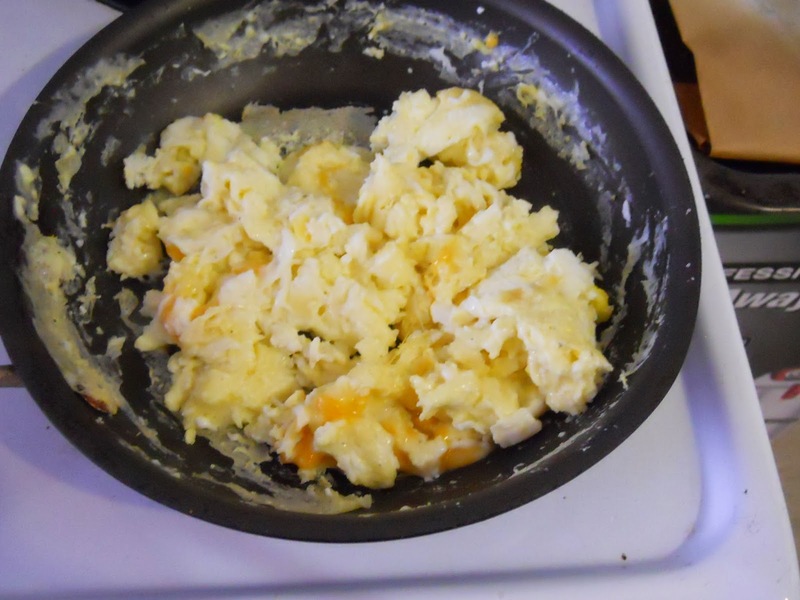 Scramble remaining eggs add cheese to top. 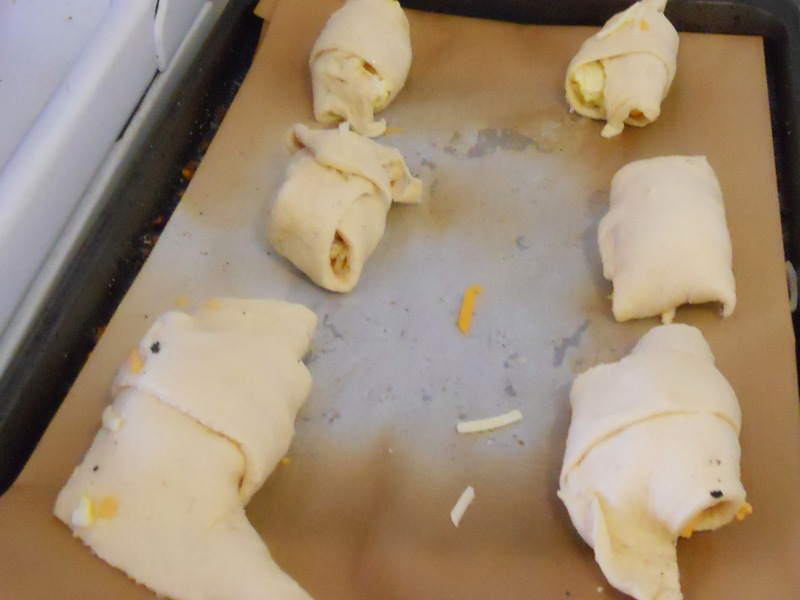 Unroll dough onto work surface; separate into 8 triangles. 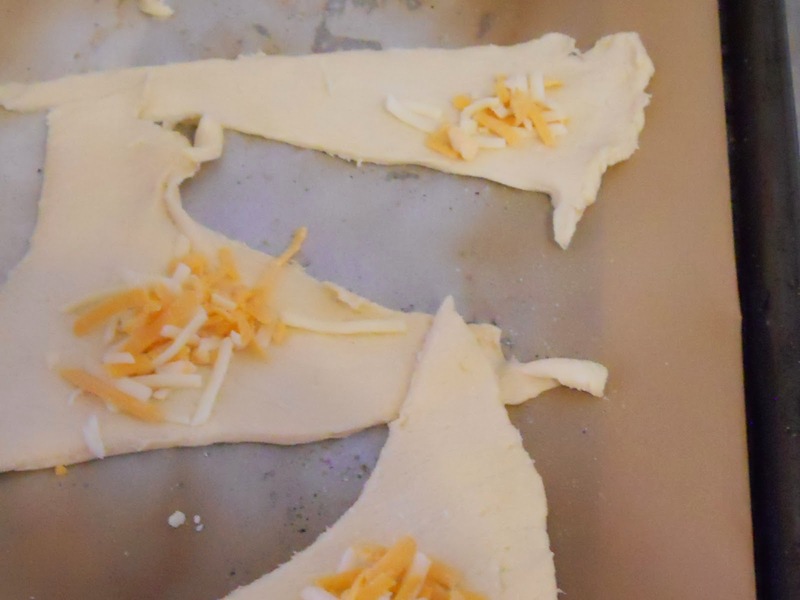 Cut cheese slices in half; place 1 half on each triangle. 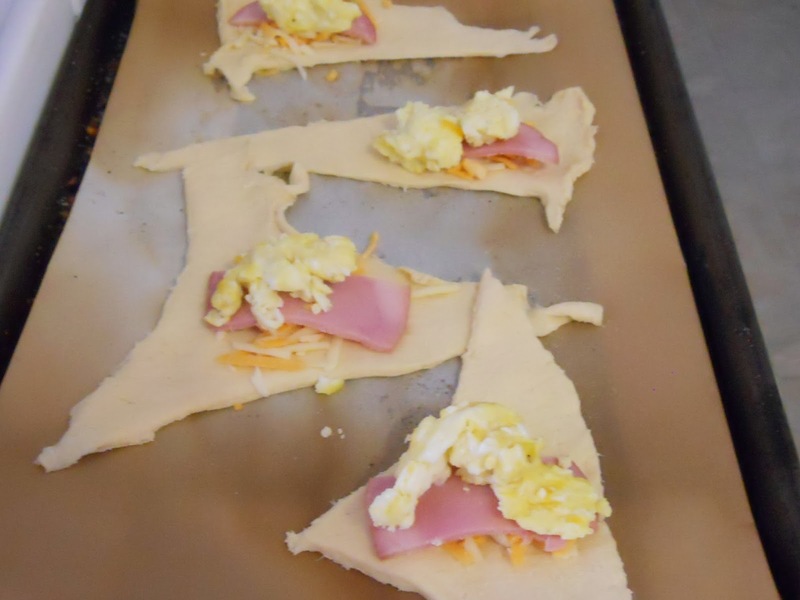 Top each with spoonful of scrambled eggs and 1 bacon strip or ham slice. 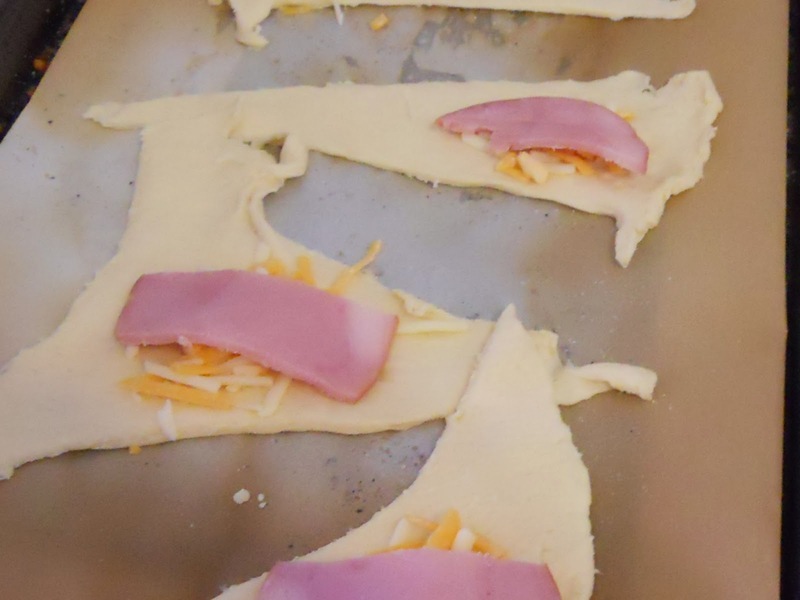 Loosely roll up triangles as directed on can; place on ungreased cookie sheet.